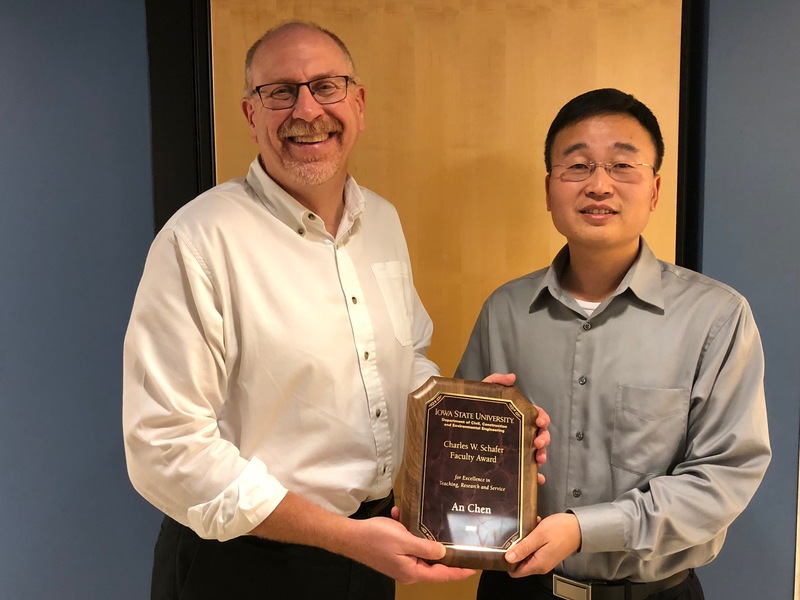 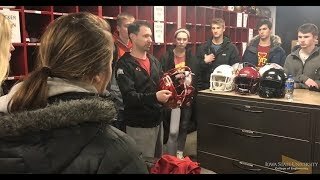 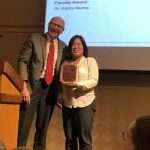 Iowa State University’s Department of Civil, Construction and Environmental Engineering (ISU CCEE) celebrated multiple successes during the month of September. 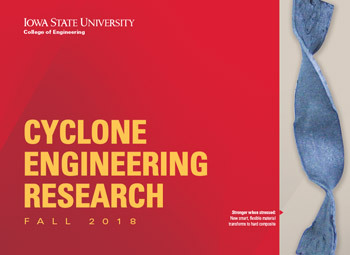 In U.S. News and World Report’s most recent rankings, ISU CCEE’s undergraduate program tied for 27th in civil engineering among institutions whose highest degree is a doctorate. 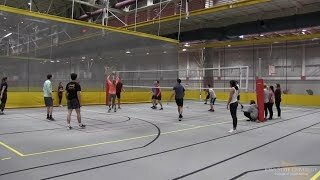 In a fall 2018 release of university enrollment numbers, the department housed 708 civil engineering and 305 construction engineering undergraduate students. 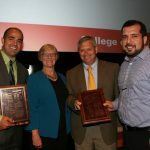 The department also housed 199 graduate students. 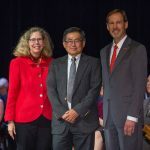 On Thursday, Sept. 13, James L. and Katherine S. Melsa Dean of Engineering Sarah Rajala welcomed the college community to the new academic year with the ISU College of Engineering Convocation. 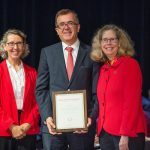 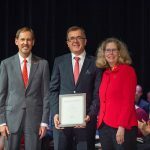 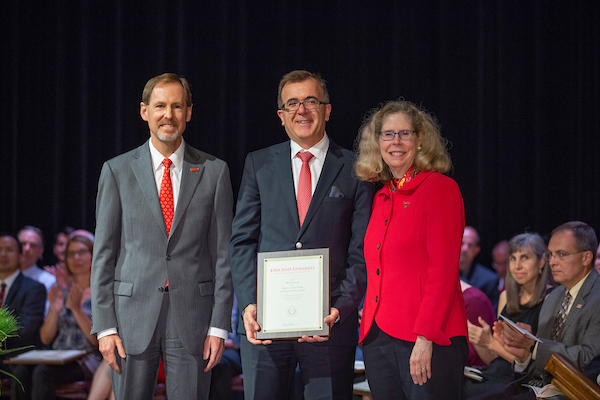 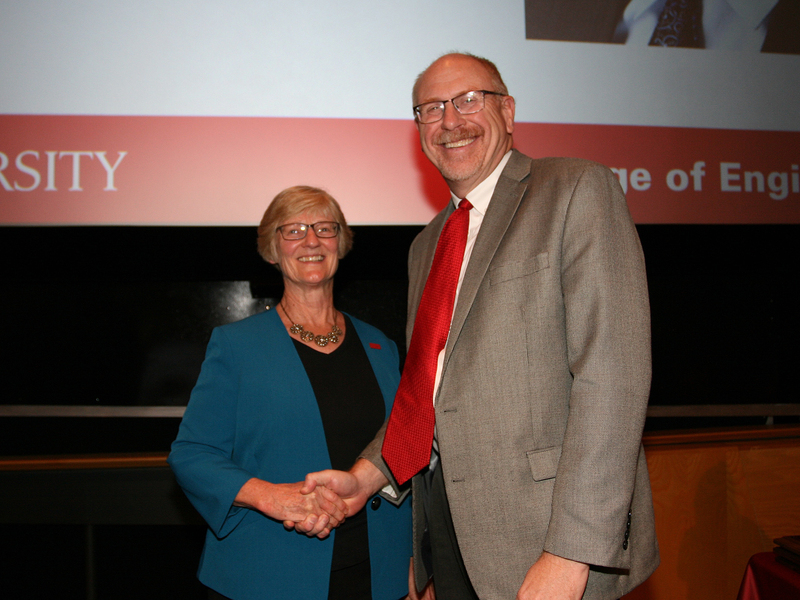 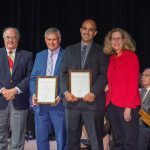 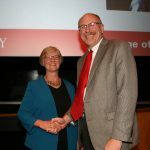 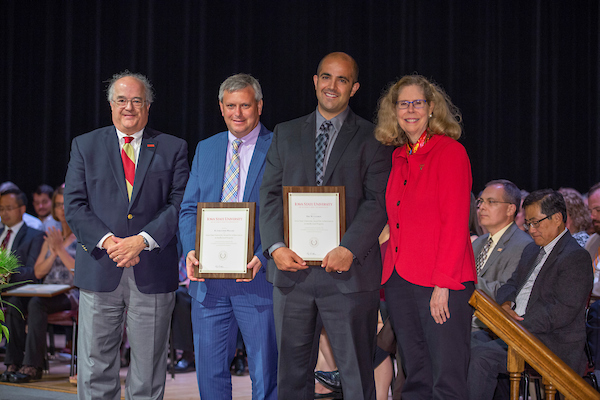 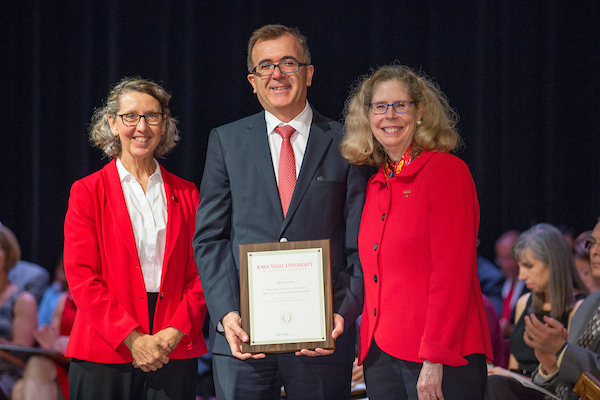 In addition, 15 Iowa State College of Engineering faculty and staff received the highest Iowa State University honors at the annual awards ceremony on Friday, Sept. 14 at 3:30 p.m. in the Memorial Union Great Hall. 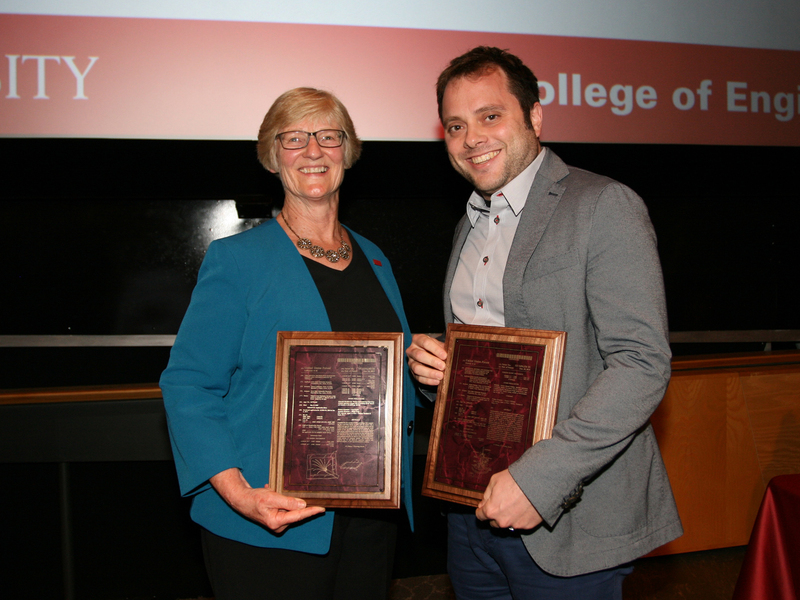 (Refer to article for details concerning award photos below. 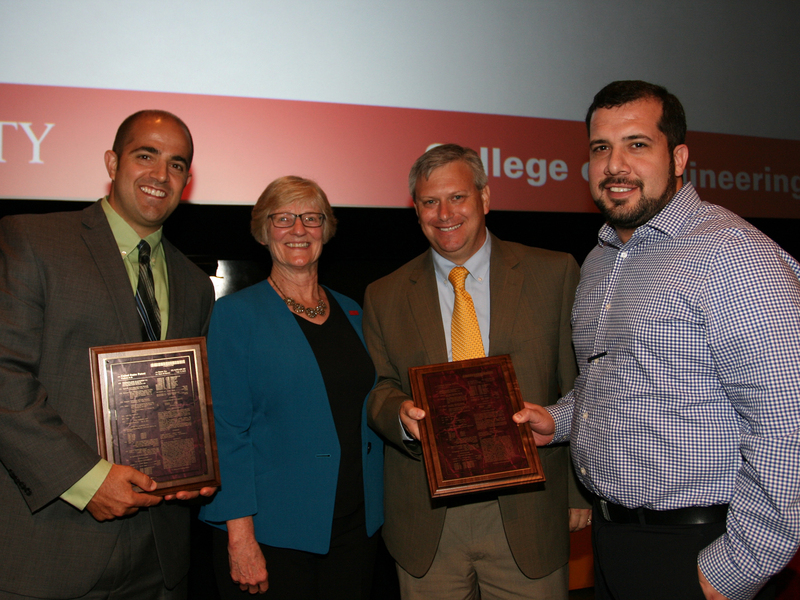 Photos courtesy Jean Dubberke/Bill Beach/Christopher Gannon). 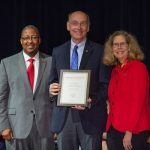 The award is presented by the Iowa Board of Regents to recognize tenured faculty members who are outstanding university citizens and who have rendered significant service to the university or the state of Iowa. 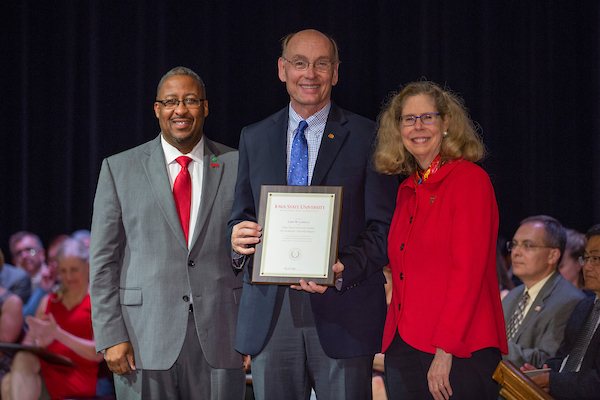 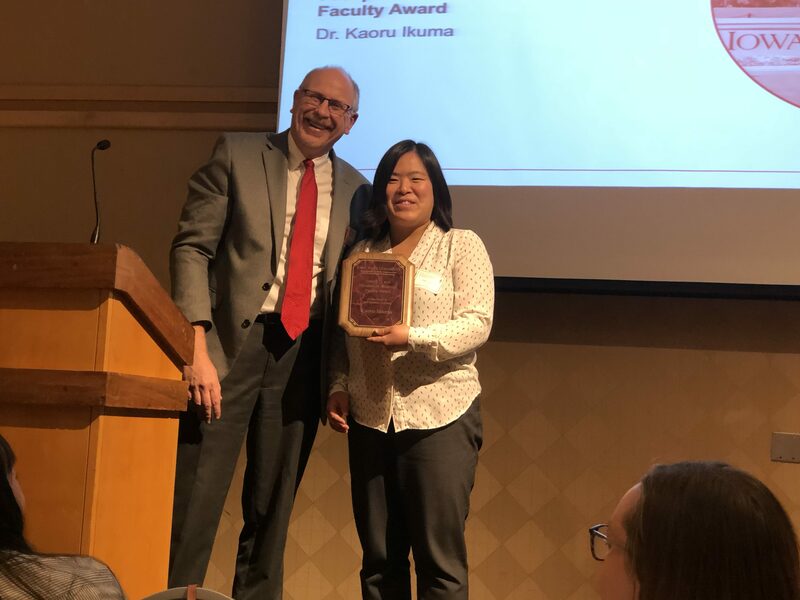 Established by a long-time staff member of the ISU Graduate College, the award recognizes superior performance by a member of the graduate faculty in enriching the student-professor relationship and enabling students to finish their work in a timely and scholarly manner. 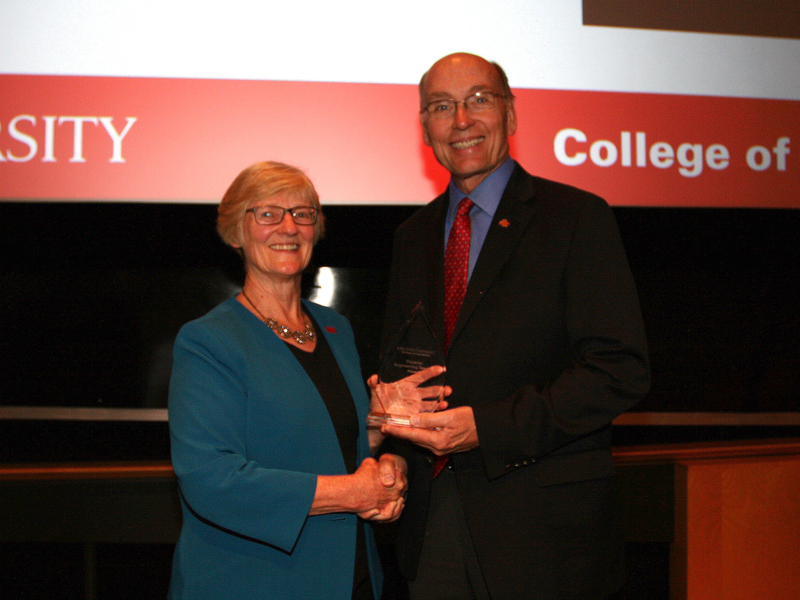 The award recognizes outstanding performance by an academic adviser over an extended period of time. 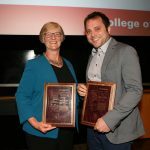 The award recognizes a tenured or tenure-track faculty member who has demonstrated exemplary research performance or scholarship accomplishments as documented by peers or experts in the field. 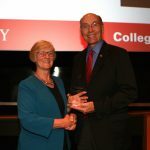 The award recognizes individuals or teams of faculty or professional and scientific staff for outstanding university-based achievements in producing intellectual property. 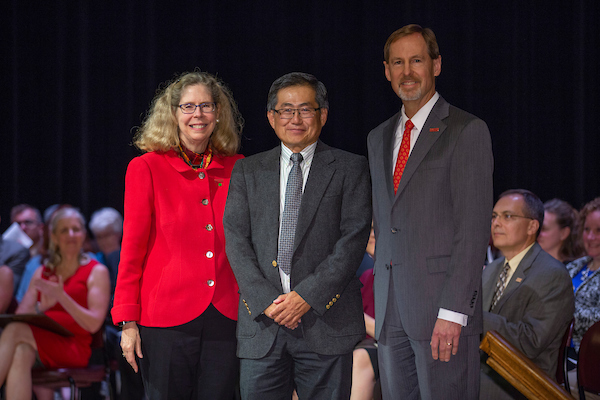 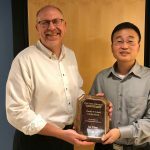 The Charles W. Schafer Faculty Award was presented to An Chen (right), assistant professor of structural engineering.